And for some truly horrific soy and vegan stories, read The Vegetarian Myth: Food, Justice, and Sustainability by Lierre Keith. The Take-Home Message for today is: Stop eating soy!! 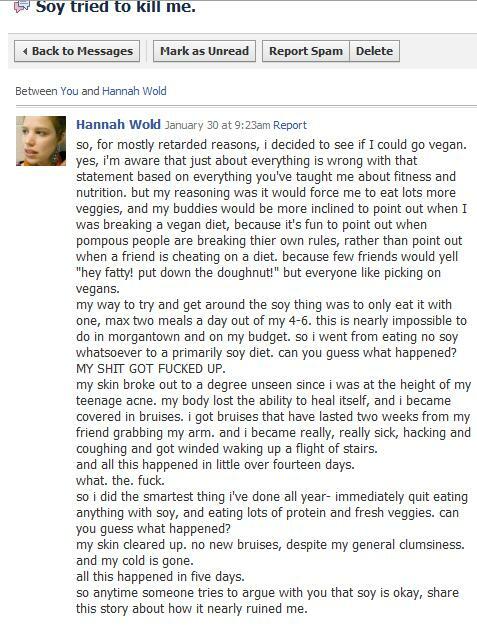 Hannah, you are awesome! You must be from the batch of more resilient black mice.